The Greater Round Rock Community Foundation formed ChangeMakers based on a successful national model. ChangeMakers is a youth civic engagement, leadership, and grant-making program. It is to address the needs and concerns of Round Rock’s youth from a youth perspective. 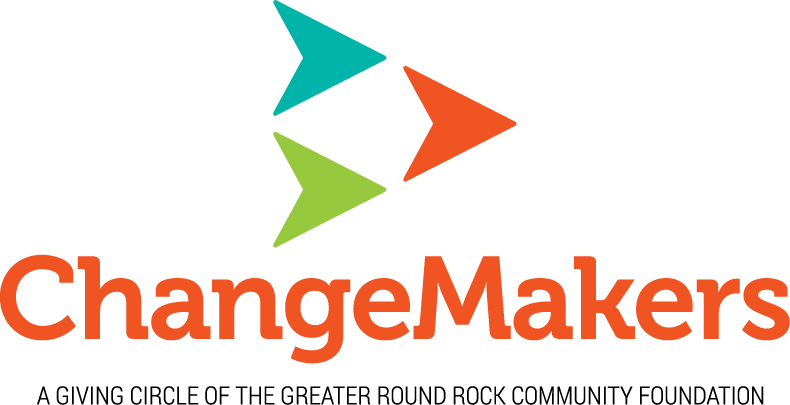 Each year, ChangeMakers will make grants to programs focused on the youth of Round Rock. Grants recommended by the ChangeMakers are funded by generous contributions from community supporters such as Wells Fargo Bank, who is funding the program for the eighth year at a $10,000 level. The programs include, but not limited to, health and human services, cultural, recreational, and educational activities. ChangeMakers begins its year in October by surveying other high school students to determine the most pressing issues affecting teens. When this information is pooled and priorities are established, they distribute a request for proposal to non-profit organizations asking them to share knowledge about programs or projects that address one of the defined issues. The members then decide which programs they believe will most benefit Round Rock’s youth and determine which to fund. 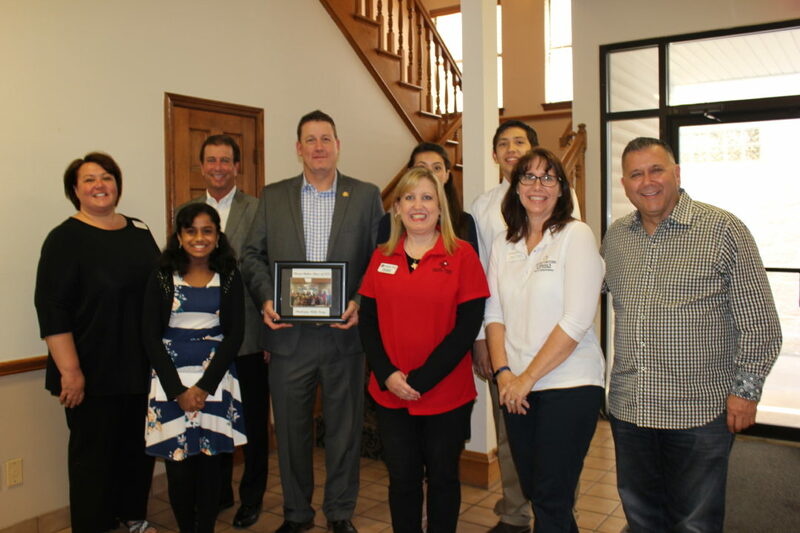 The ChangeMakers then take its recommendations to the Board of Governors of the Greater Round Rock Community Foundation for their approval and funds are distributed in May each year during the end of year celebration. ChangeMakers members also receive “hands-on” involvement by choosing and completing two community service projects. The Greater Round Rock Community Foundation believes that communities benefit when their youth gain leadership and fund development skills. ChangeMakers give young people an opportunity to help solve the problems and challenges of today’s youth. ChangeMakers is for youth and led by youth, operating with very little guidance from adult advisers. ChangeMakers enhance the decision-making skills of young people, providing a forum for youth interests, needs, and problems. It also commits resources to youth-serving programs by developing and encouraging youth involvement in philanthropy and volunteerism. Community Service hours are accrued for all hours dedicated to ChangeMakers and are reported directly to the school at year end. The Foundation will also provide letters of reference (for college admission or employment) upon request based on active participation of a member. Giving the power of philanthropy to young people allows teenagers to become valuable contributors now, as well as essential leaders for the future. Successful youth philanthropy programs can contribute to many positive outcomes. The program responds to their need to belong and be a part of a peer group engaged in socially constructive activities. The experience gives them a basis for improved understanding of their importance to the community and encourages them to strive to achieve all they can in every walk of life. By participating in a representative youth philanthropy board, they develop abilities to work with a wide range of people from different cultures and contexts, which is increasingly necessary as society becomes ever more diverse. Giving young people experience with the power of philanthropy also integrates issues of community participation in the program approach. It is human nature to build ownership and give higher importance to those things in which individuals have the power to decide. In giving youth a VOICE and the power of choice, the youth philanthropy program is simply allowing and encouraging them to be committed, caring contributors to the community. Young people bring valuable new leadership skills and energies into the community, and, if allowed to apply their talents, encounter fewer limits to the growth and strength of the community. The additional creative and human resources are considerable. The young RR ChangeMakers council of the Greater Round Rock Community Foundation, the ChangeMakers, have set aside the M.L.K. Day of Service on Monday, January 21, 2019 and the Global Youth Service Day on Saturday, April 6, 2019 to complete community service projects. ChangeMakers will be taking applications for Community Service at a Non-Profit for Martin Luther King Day of Service and working on our Global Youth Service Day. YOU ARE WELCOME TO PROPOSE MORE THAN ONE PROJECT FOR NEXT SCHOOL YEAR 2018 – 2019. PLEASE DO SO BY COMPLETING MULTIPLE SEPARATE APPLICATIONS. We invite you to be creative – this is meant to be as much an educational opportunity for the ChangeMakers as it is an opportunity for you (as a qualified nonprofit organization) to get some valuable assistance! Deadline for projects to be completed on M.L.K. Day of Service, Monday, January 21, 2019 is November 16, 2018, 5 pm. Deadline for projects to be completed on Global Youth Service Day, Saturday, April 1, 2019 is December 21, 2018 , 5 pm. We will provide water for the volunteers and adult ChangeMakers will be in attendance to “manage” the youth. Please do not hesitate to call to brainstorm ideas or get feedback.